Credit advanced for house purchases is down 1.21% y/y and basically flat (-0.03%) q/q. Other personal loans are down whooping 9.98% y/y and are down 5.82% q/q (with both Finance for investment and Finance for other purposes sub-categories down by more than 5% q/q). 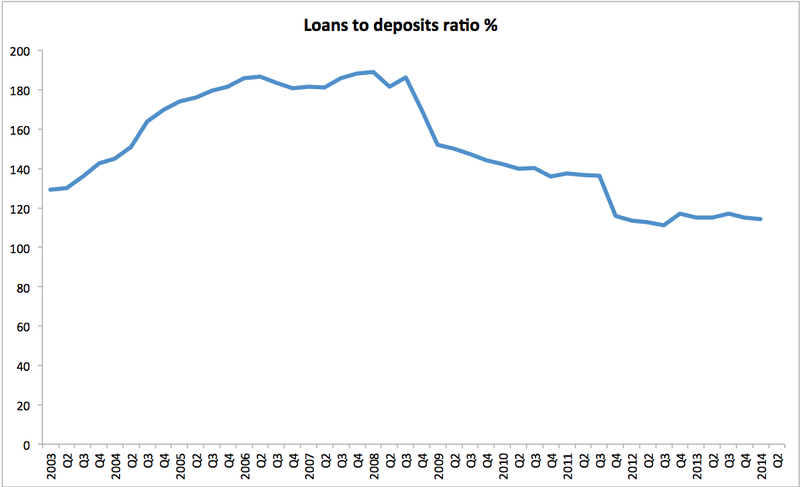 Meanwhile, deposits (remember our 'gargantuan' savings rates that worry everyone from ESRI to DofF) well… deposits are down 1.78% y/y and down 0.14% q/q. Since we are onto the topic of 2011, recall that in H1 2011 we have recapitalized Irish banks, which, ever since that time, been on a steady path of recovery. Even Wilbur Ross says as much, let alone our Ministers and Senior Officials. 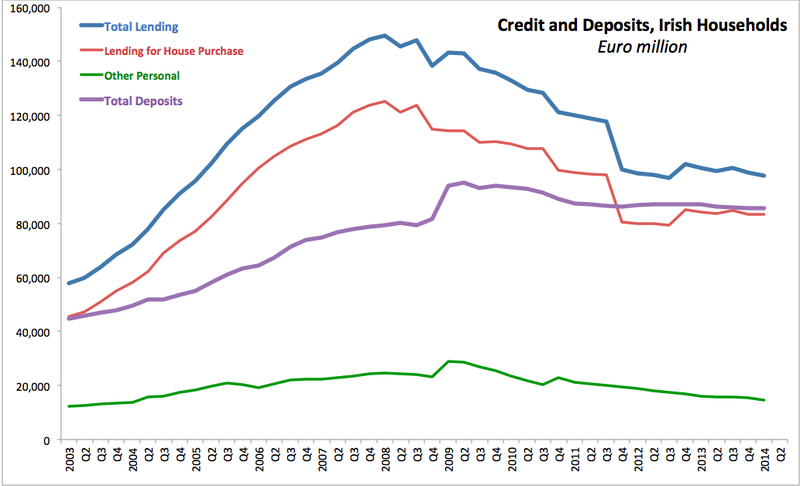 Numbers confirm… the opposite story: compared to H1 2011, q1 2014 levels of households' credit in the economy was down massive 18.2%, credit for house purchase down massive 15.5%, credit for other purposes down gargantuan [truly] 30.9%, while deposits are down 1.82%.